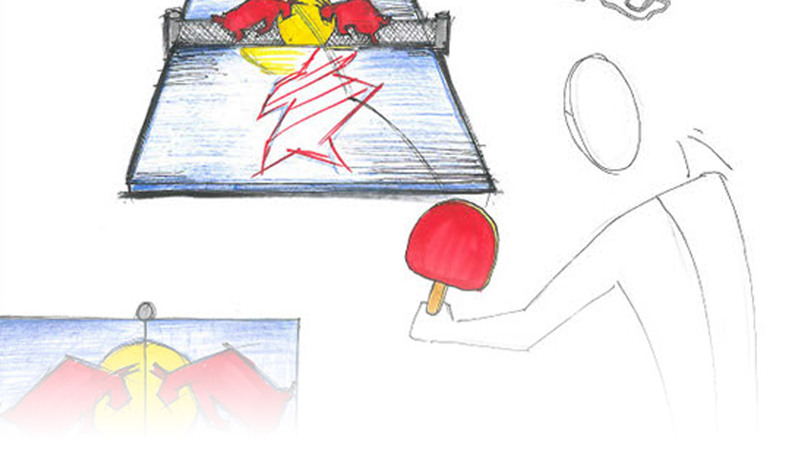 Crazy, creative, cool ideas revolving around table tennis? – That’s our thing. 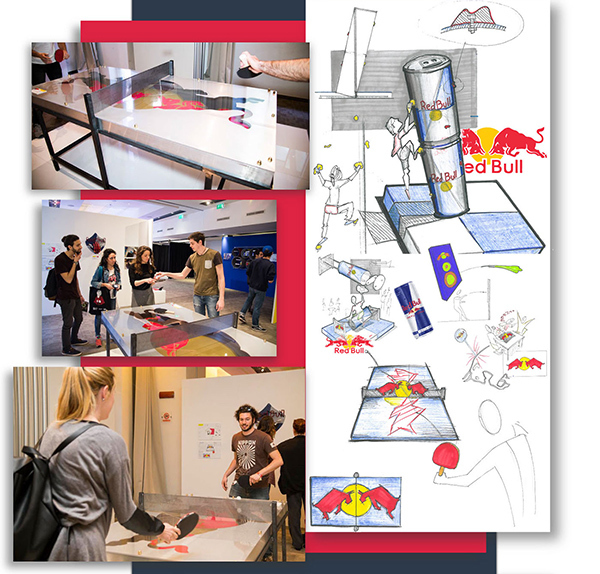 Red Bull started an upcycling project in cooperation with IED Istituto Europeo di Design in Milan. 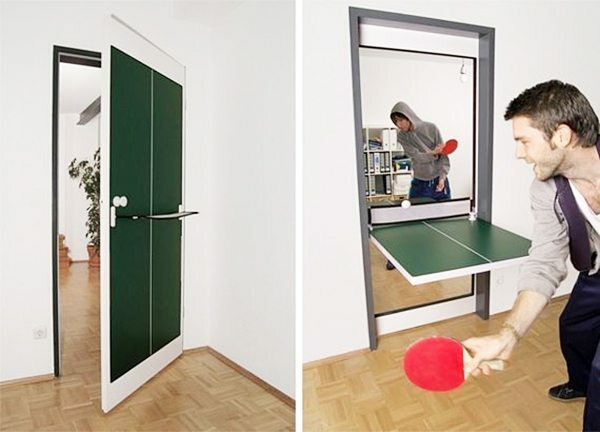 The result was a special kind of table tennis. Red Bull UpCycling is a creative recycling project. Along with IED students, used items like signs, counters and fridges were revitalised and turned into functional design objects. An old sign and a steel construction were turned into an original table tennis table in Red Bull style, as you might use in any bar. • is made with high quality. • has minimalistic aesthetic design that withstands time. • is environmentally-friendly and socially conscious. The following work is not so suitable for the home, but all the more remarkable for that. We discovered it in the Art & Science Journal. 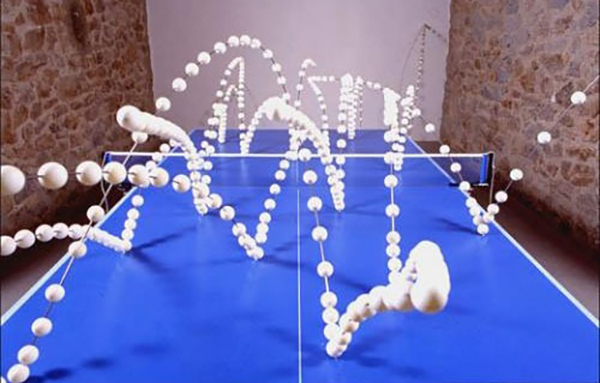 This is what it can look like when you capture two seconds of table tennis action in a room installation.